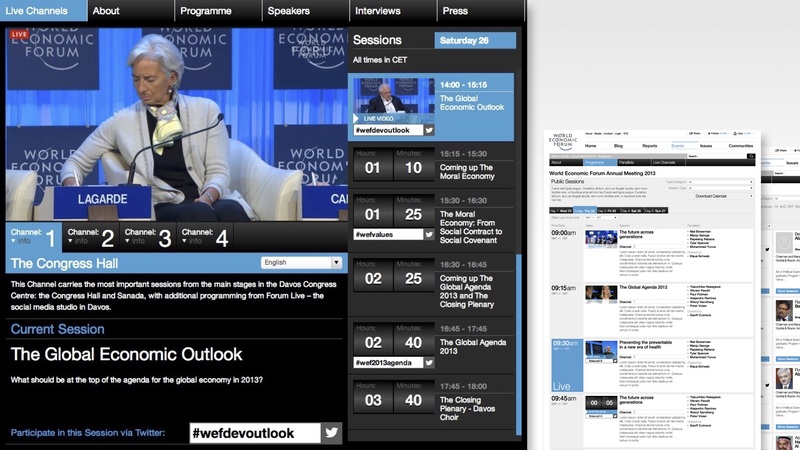 Live video has been a part of the World Economic Forum’s meetings for some time, with the participation of Swiss TV crews. For the Annual Meeting 2013 we completely rebuilt the online Events experience and its delivery of multi-channel live webcast video. This involved creating our own Video Content Management System, Video API, an embeddable and highly configurable video widget for ourselves and the international media, and an interconnected set of programme, sessions, and speakers pages to broadcast from our public website. 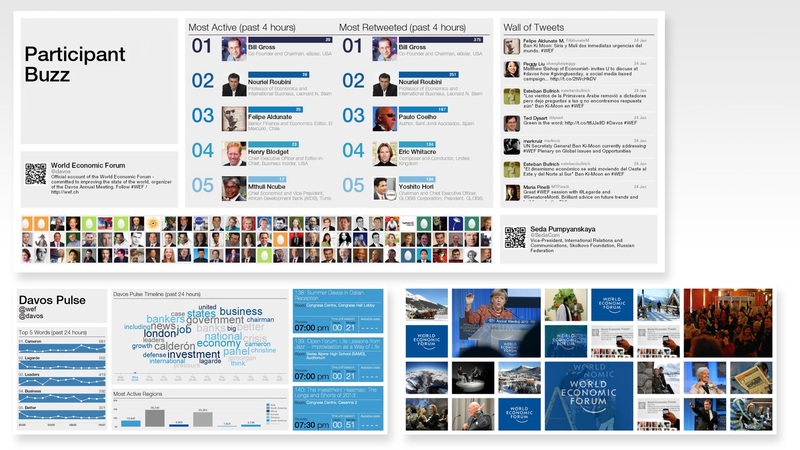 As a consequence, the press welcomed this as the most transparent Global Digital Davos they had covered. The Founder of Livestream described this work as the creation of a totally new and highly desirable video product not seen before. This new format is now being used for all our events – from Annual Meetings to Regional Meetings. I led the user experience, design, and product specifications, managed the development build done by an external supplier, and liaised with Livestream, YouTube and our streaming media team to make sure the usability and performance were reliable and exceptional. Needless to say, some new feature development and testing was required at very short notice during Davos, as surprise Use Cases arose – such as sessions running into excessive over-time. I liaised with the overall team during Davos to make sure all of these exceptions were dealt with, releasing new and fully tested development builds each night of the meeting’s five days. The webcast widget and its calendar layout is fully modular. Parameters in its API code allow it to have different components, columns, configurations and sizes – from a video-only player to a full page searchable programme with topic tags. A team of 3 managed the Livestream schedule, encoding, and widget CMS. An external team of 4 built and tested the widget, its API, and CMS on Google App Engine. And several team members from both Livestream and YouTube were available to run their services and troubleshoot any issues.